Education is a core part of our mission at the Botanic Garden. We offer inspiring school visits for primary and secondary school pupils. 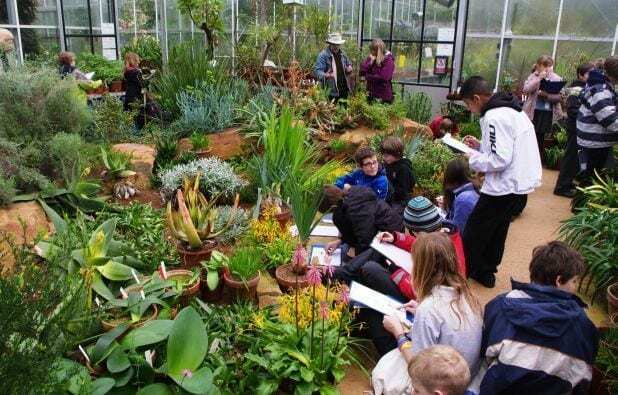 You can book school visits at the Botanic Garden throughout the year. We have a range of themes and ideas to make your tour relevant and inspirational, as well as in line with the National Curriculum. School visits tours last around 1 hour 30 minutes. As well as our list of suggested themes, we can tailor your visit to match project or syllabus themes. The suggested class size per visit is 30 pupils, pre-organised into groups of 10. There is a charge of £3.50 per child, invoiced after your visit. The Garden has disabled access and there are toilet facilities on-site. Most of your visit will take place outside, but there is shelter in our glasshouses in wet weather.